A new fun screensaver that will remind you of your childhood computer games. The funny figure will 'eat up' your desktop wallpaper, only to restore it back. 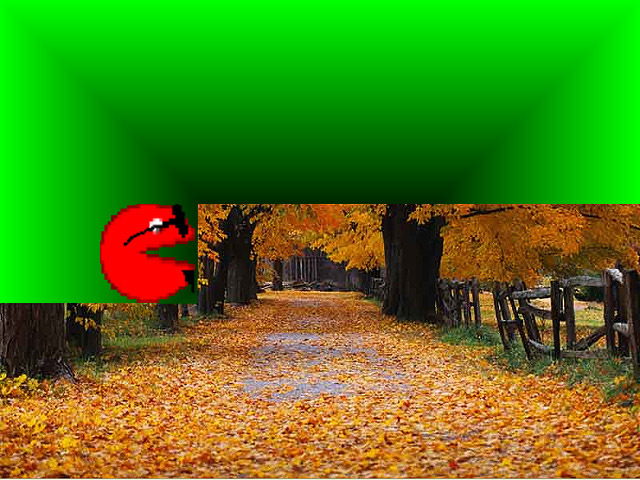 DeskMan Screensaver shows animated DeskMan (our variant of legendary Pacman) that systematically eats your desktop Now user can choose whether the desktop wallpaper is to be restored by DeskMan as in previous versions or by fade-transition (default). It is easy to install and uninstall DeskMan screensaver. To install DeskMan Screensaver simply run dskman.exe and follow the on-screen instructions. You can uninstall DeskMan Screensaver with left-click on the Uninstall DeskMan Screensaver shortcut that you can find in the Start menu. Qweas is providing links to DeskMan Screensaver 3.0.0 as a courtesy, and makes no representations regarding DeskMan Screensaver or any other applications or any information related thereto. Any questions, complaints or claims regarding this application DeskMan Screensaver 3.0.0 must be directed to the appropriate software vendor. You may click the publisher link of DeskMan Screensaver on the top of this page to get more details about the vendor.